Destination Branding: Developed new social brand ‘Tenterfield True’ and a supporting ambassador program to drive activation. Destination Marketing & Strategy: One collaborative media famil resulted in $1 million worth of stories in print and online media. Destination Development & Marketing: Assisted in transforming Coolamon Shire from a drive through destination to a thriving rural weekend destination. Put your destination on the map! Tilma Group can help you achieve strong strategic vision, complete competitor analysis, set marketing goals and build comprehensive implementation plans. 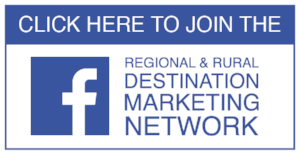 Develop your local or regional tourism industry with a cutting-edge digital strategy and website, strategic planning, development of local events and experiences, and destination marketing initiatives. Develop your brand or experience with Tilma Group. Whether it's marketing and social media, events, awards or funding, we can help you take charge and grow your tourism business towards a solid future. For regional festivals and events, Tilma Group can assist you with all aspects of delivering a successful event, from sustainable strategy and planning to management and marketing. Tilma Group is a cutting-edge tourism, marketing and events agency focused exclusively on regional and rural Australia. Operating since 2008, Tilma Group prides itself on providing a personalised service to every client. We have built our reputation on this promise, combined with our incredible passion for regional Australia and extensive experience in tourism, events, marketing and public relations. ‘Team Tilma’ provides high quality and cost effective strategy, creative and management services within tourism, destination marketing and events. Always delivering proactive ideas and innovative concepts with enthusiasm and energy, based on clear objectives and measurable results. Event Strategy & Marketing: Record festival attendance at 2018 event. Event Marketing: Record festival attendance at 2017 event. Event Strategy & Marketing: Increased visitor numbers by 50% YOY in 2016 and secured funding over two years. Funding Application & Award Submissions: Successfully applied for product development funding, which saw the construction of the Food I Am cooking school. Cooperative Campaign Management: Secured matched funding from Destination NSW to deliver a $240,000 Destination Appeal Campaign. Strategic Marketing Management: Achieved targeted and strategic growth in the regional Victoria market and attracted over $100,000 worth of media exposure. Creating a community of regional events, driven by fun and productive teams that work hard but are less busy. Festivals and events are significant drivers of the visitor economy in regional and rural Australia, so it's important that we continue to sustainably manage our events and use them to drive increased visitation. This group is for anyone involved in regional festivals or events (of any size and scale) to share knowledge, transfer ideas and collaborate. If you have a handy tip or tool that could benefit others, please share! To boost exposure for regional/rural/remote communities/destinations so that more visitors start to disperse out of the traditional hot spots and into the gems of inland Australia. To create a nationwide group of tourism and marketing peeps focused specifically on collaboration and helping each other achieve goal #1 ^^. We are passionate about tourism marketing and development, regional events management and delivering the best results for your business. Tilma Group employs a team of highly skilled, professional and friendly people who are passionate about tourism and events, are from regional areas in NSW, QLD and Victoria and are ready to help deliver the best results for your business.